Princess Khumalo stood in the queue for passport control at Dublin Airport, trying to figure out how to explain her dilemma to the Irish authorities. When she saw the immigration official gesture towards her, she grasped her daughter’s hand and walked over to the cubicle. She admitted to the man that she and her daughter were travelling on false South African documents; that they were actually Zimbabwean and had fled the country, fearing for their lives.The man who had accompanied them from South Africa to Abu Dhabi had promised a lawyer would be waiting for her on her arrival in Dublin. Instead she was faced with a passport official.“They took photos of myself and my daughter, and the next thing they’re putting them in a brown envelope. I just thought this is the normal procedure.” The official asked her to follow him and began leading her and her daughter through a labyrinth of airport corridors. In a panic, Khumalo convinced the air hostess to call back the immigration official and reopen the doors. She and her daughter were removed from the aircraft and she was locked in a detention room. Eventually she was given access to her luggage, from which she produced her real Zimbabwean identification and birth certificate. After giving fingerprints, they were brought in to central Dublin to register with the Department of Justice and then transferred to the Balseskin direct provision centre. It was 2014, and for the first time in years she began to feel safe. Khumalo was born into a middle-class family in the capital of Zimbabwe, Harare. She never wanted for anything as a child. Her father, who died when she was 10, worked in a tyre factory and was also a trade unionist and political activist. Her mother, a schoolteacher, was forced to leave her glamorous life as an air hostess after she married her husband. “My mum was the first African air hostess in the 1950s,” says Khumalo. “It was a very glamorous job at the time, and she was so slim and tall. It was during the Smith regime, so it wouldn’t have been easy for her to just walk into an airport and look for a job as a black woman. Khumalo’s family came from the Ndebele tribe and were descendants of the last king of the northern tribe, Lobengula Khumalo. Her father was deeply proud of his heritage. He was imprisoned in the 1960s for his political activism and went on to play a role in founding the Zimbabwe African People’s Union political party. After her father died, she began playing basketball and quickly discovered she had a natural flair for the sport. By her midteens she was playing for the national squad, and in 1986 she was named Zimbabwe’s sportsperson of the year. Family friends encouraged her to pursue basketball professionally, but Khumalo was more interested in working in the local casino. She met her husband at the casino and the couple had two children together. In 2004 Khumalo’s mother, whom she describes as “my best friend and my role model”, died unexpectedly. Five years later her husband died suddenly. Given the family’s political activism and involvement, she knew she and her two daughters were at risk. She moved the family to South Africa, where her older daughter, Tanya, now lives and works. However, as the threats towards she and her daughters intensified, she realised it was time to move again. She paid a travel agent €8,000, and he arranged for Khumalo and her younger daughter to travel to Ireland. 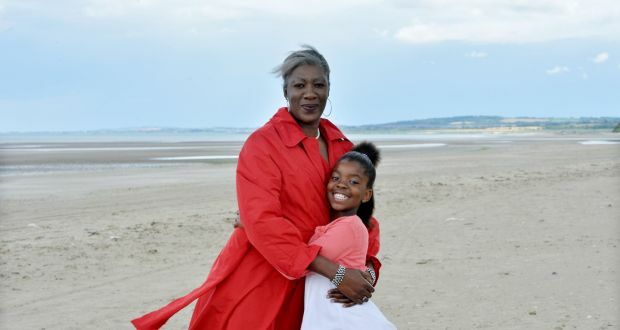 Khumalo says complaining about direct provision will not change the system and that she would rather focus her energies into “positively transforming and developing” her own life. In September she will begin a course in legal studies at Drogheda Institute of Further Education. She also continues her political activism and earlier this year launched an Irish branch of the ZAPU party. “Zimbabwe has faced human rights violations since 1982, and I believe it’s time to make people understand that we are tired of Mugabe’s regime. I come from a background where we are strong-willed people, achievers, fighters, leaders and proactive. I have already positively transformed and developed my life in direct provision.